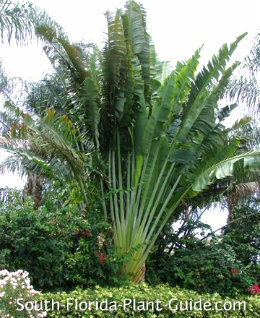 The beautiful and legendary travelers palm is actually not a palm at all, but spectacular palm-like imposter related to bananas and bird of paradise. These plants grow to be enormous, with huge leaves sprouting from a long stems in a flat, fan-shaped pattern like a peacock's tail. The leaf bases create an intricate, overlapping pattern. The leaves collect rainwater which flows into the plant's stems, base, and even its flowers, ready to aid a thirsty traveler. Though it will eventually grow a trunk, this plant needs a wide berth when young. 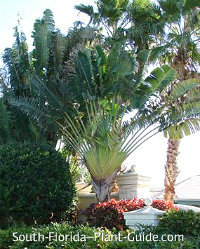 Because of the immense width and height proportions, this is one of those South Florida "palms" that work best in more expansive landscapes and with larger homes. One that is true: A parched traveler can poke a hole almost anywhere on this "palm" and get enough clean water for a good drink. One that is false: The leaves always grow in an east-west direction so a lost traveler can find his way. One that is - well, you decide: Stand in front and make a wish in good spirit - and the wish will come true. Get ready for a giant of a plant - a "travelers tree" can grow very tall and takes up lots of space while young (before it grows a trunk). The farther south in Florida you go the taller they can get. In northern areas they'll get about 30 feet high. Close to Miami they may reach 50 feet - or more. The growth rate is fast until a trunk begins to develop. Then the plant settles into a nice, moderate pace. These plants like full sun but can handle part shade, and do best when young in an area where the base stays somewhat shaded. Eventually it will grow into a full sun height. 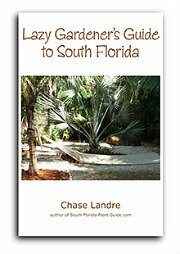 Travelers do well in Zone 10 or coastal Zone 9B areas. The trunk is solitary but occasionally offsets will form. These can be removed (though many people don't) to strengthen the main plant and keep its classic look. Flowers look similar to bird of paradise blooms. 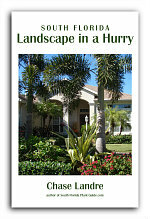 Fertilize 3 times a year in spring summer and autumn using a quality all-purpose or palm fertilizer. Travelers palms need regular water - another reason to keep the base in a partly shaded area while it's young and getting established. Anywhere you plant, keep in mind the growth direction of the crown of foliage. 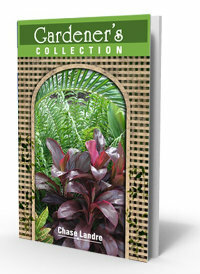 Because this becomes a very large and wide-spreading plant, place it no closer than 8 to 10 feet from the house. This plant will work in a container only while it's very young. 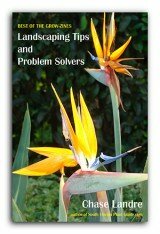 COMPANION PLANT SUGGESTIONS: Use plants that have enough character and color not to be overwhelmed by the sheer size of a travelers palm...variegated arboricola, Burgundy loropetalum, dwarf oleander, yellow elder, cape honeysuckle, and silver buttonwood.